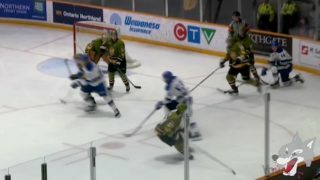 The Sudbury Wolves will host the OHL leading Erie Otters on Friday night at the Sudbury Arena at 7:00pm in a special Remembrance Day game. The Otters are led by OHL Player of the Week Alex DeBrincat, who has scored 17 goals and added 18 assists in his 15 games played. DeBrincat was selected by the Chicago Blackhawks in the second round of the 2016 NHL Entry Draft, and sits second in team scoring to Tampa Bay prospect Taylor Raddysh. 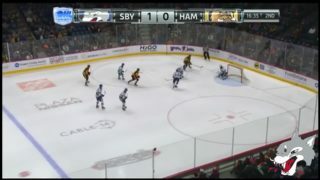 Raddysh is the OHL leading scorer and leads the league with 39 points in 15 games. 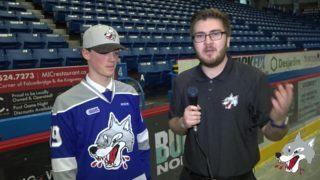 Prior to the game, starting at 7:00pm, the Sudbury Wolves will be hosting a Remembrance Day celebration with the local Legions leading the ceremony. The Wolves will also wear commemorative Military jerseys which will be auctioned off throughout the game. Proceeds from the jerseys will be donated to Wounded Warriors Canada through the Sudbury Professional Firefighters Association. 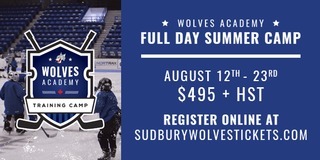 The Sudbury Professional Firefighters in conjunction with the Sudbury Wolves are paying tribute to the 100 year anniversary of Vimy Ridge next spring. On hand at the game will be the new wrapped pumper truck that will commemorate the anniversary throughout 2017. Friday’s game is sponsored by the Northern Life and Sudbury.com. Don’t miss their t-shirt toss in the first intermission for the chance win additional prizing. 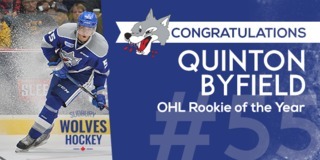 You can stay up to date with Wolves and your favourite players by downloading the new Sudbury Wolves App available in the App Stores for iPhone or Android. Following Friday’s game, the Wolves will travel south for two Eastern Conference match-ups. 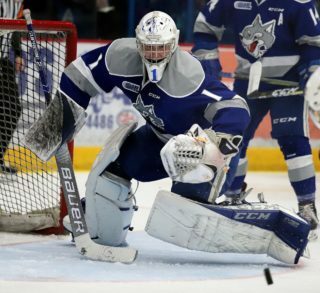 They will make a stop in Niagara on Saturday to face the IceDogs at 7pm, before making a visit to the Oshawa Generals on Sunday at 6:05pm.